No one likes a complainer. Here’s what to do instead. And no, we don’t mean quit immediately. Stop complaining and start making things happen in your career. You’re going to have boring projects, difficult assignments, and co-workers who occasionally (or often) make you want to quit, start a Slack channel detailing how annoying they are, or complain to anyone who will listen. But that can backfire—big time. 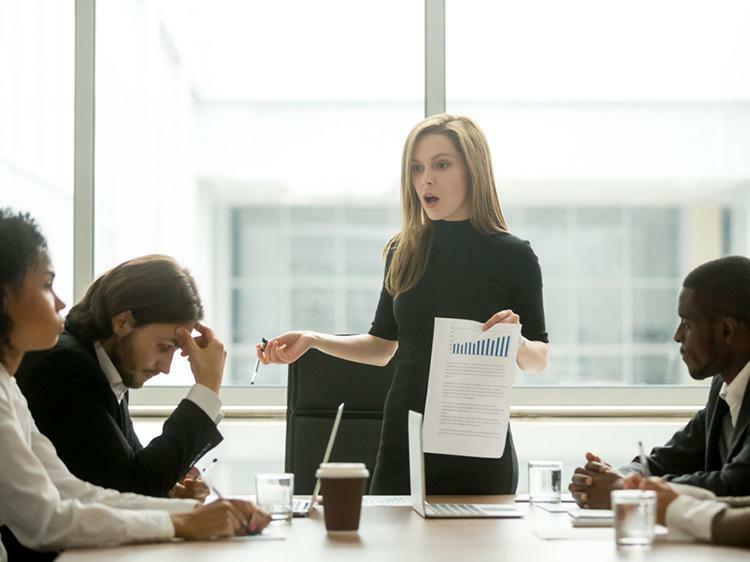 “If you spend too much time complaining to others, you could be labeled “the complainer” and co-workers may avoid you,” says Angela Copeland, founder of career coaching company, Copeland Consulting. First, write down all of your grievances. Pick the five that bother you the most and put them in sequential order. Once you have your top two priorities, list two or three things you could do to improve the situation. “If you can start thinking like an active problem-solver you'll feel more in control and a lot more optimistic about changing the situation,” she says. Your co-workers will respect you more (and be more willing to change) if you don’t just point out problems, but offer solutions. “If what you're constantly complaining about is something that can be fixed quickly, a better way to talk about the issue is to give constructive criticism” says professional development coach Lorraine Brown. If you have way too much on your plate and are constantly working long hours, you could suggest that they hire an associate. Offer to manage them and you’ll get the help and valuable managerial experience. Win-win. There may be problems that are outside of your control such as having competitive co-workers, lack of work-life balance in an industry where long hours are required, or constantly needing to travel for work. You may have known this when you accepted your offer but it doesn’t mean it has to be your forever job. Brown recommends practicing self-care when you’re (finally) out of the office. “Do yoga, go to a therapy session, write about it in a journal, or vent to friends who are not your co-workers. Just be sure not to bring your complaining to the workplace,” she says. When you’ve tried to change your attitude but things still aren’t getting better, sometimes there’s only one thing to do: find a new job. Join Monster and we’ll send you the latest jobs that fit your background, plus, you can create up to five different resumes so you’ll be ready to apply at a moment’s notice to the one that’s just the right fit.